First of all, THANK YOU so much for all your support and enthusiasm yesterday! It truly means the world to me, and I have been so touched and humbled by your kindness! Book launch day was one I will never forget. And, because of all of YOU, Living Well Spending Less: 12 Secrets of the Good Life hit #2 on the Amazon Bestsellers list yesterday, and has been hanging out in the top 20 ever since! Can you even believe it?! The bad news is that the paperback version is currently out of stock at Amazon and taking 2-3 weeks to ship. The good news is that it is still in stock at other bookstores, including Barnes & Noble, at least for the time being! I feel terrible that so many of you are having to wait to get the book, so I wanted to extend our preorder bonus offer for a few more days. 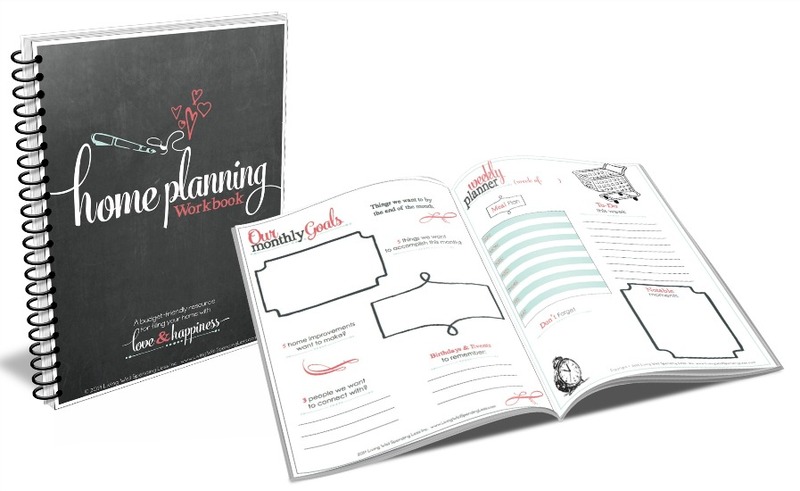 That way any of you who are waiting can get INSTANT access to our digital home planning workbook, a beautifully designed 155-page planner that includes pages for goal setting, meal planning, budgeting, and much more! It is the perfect accompaniment to the book, and the perfect way to start your New Year well! 1. Purchase the book from any bookseller in any format. You can find it at Amazon, Barnes & Noble, Books a Million, or ChristianBook.com. It should also available in your local bookstores and at Target. 2. Fill in the form to get your bonus HERE. Be sure to include your order number or receipt number! The bonus should arrive in your email inbox within minutes. Be sure to check your spam or “promotions” folder! While some of you are still waiting for your copy, I know many of you are already diving right in. Some of you have even finished already, and have already shared what an impact this message has had on your life. I love hearing those stories, which is why I am SO excited today to let you know about our #Secret13 essay contest! So what is Secret 13? 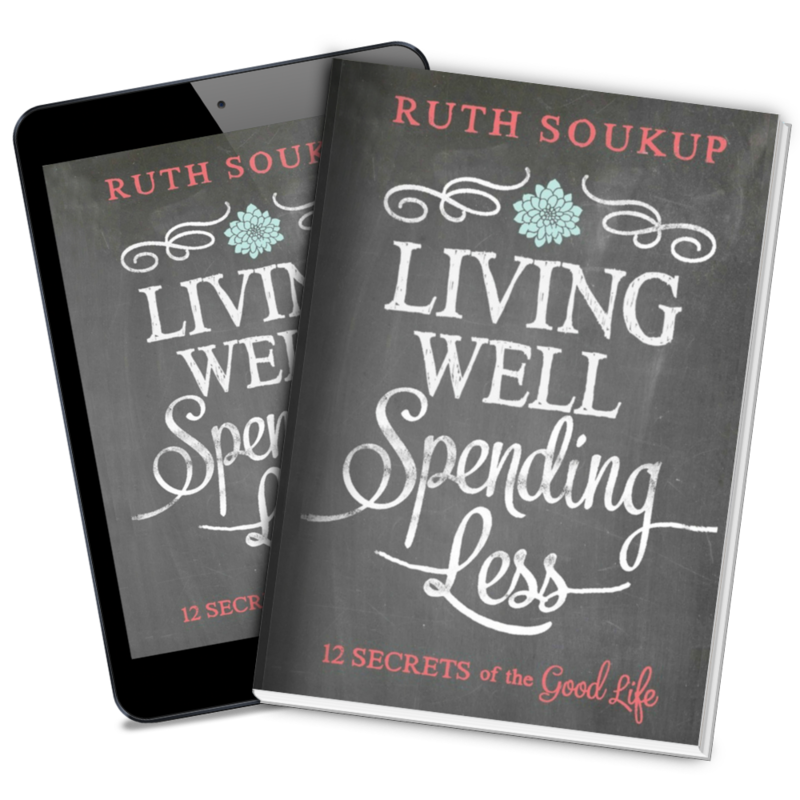 Living Well Spending Less: 12 Secrets of the Good Life shares 12 concrete strategies for seeking—and finding—the Good Life in our day to day lives. Even so, a life well lived is not so much about what we have as who we are, and ultimately each one of us holds the key to our own secrets. Secret 13 is the truth that YOU have uncovered as you discover your own Good Life, and we want to hear all about it! In 750-1200 words, please share your own Living Well Spending Less® story. It could be a challenge you faced in your own life and the lesson you learned as you overcame it, or a personal story about how something within one of the chapters of Living Well Spending Less: 12 Secrets of the Good Life personally affected or changed you. Next, to be entered into the #Secret13 Essay Contest, simply send a copy of your essay to secret13@livingwellspendingless.com. Be sure to include your name and contact information! Each week for 12 weeks, beginning January 6th, we will select one finalist’s essay to feature on LivingWellSpendingLess.com. (You can read them HERE) You will have until March 15th, 2015 to submit your essay, but bear in mind that the sooner you submit your essay, the better chance you have of being selected as one of the finalists! At the end of the 12 weeks, beginning March 31st, 2015. Living Well Spending Less readers will vote on their favorite #Secret13 story. The person with the most votes wins one AMAZING PRIZE! 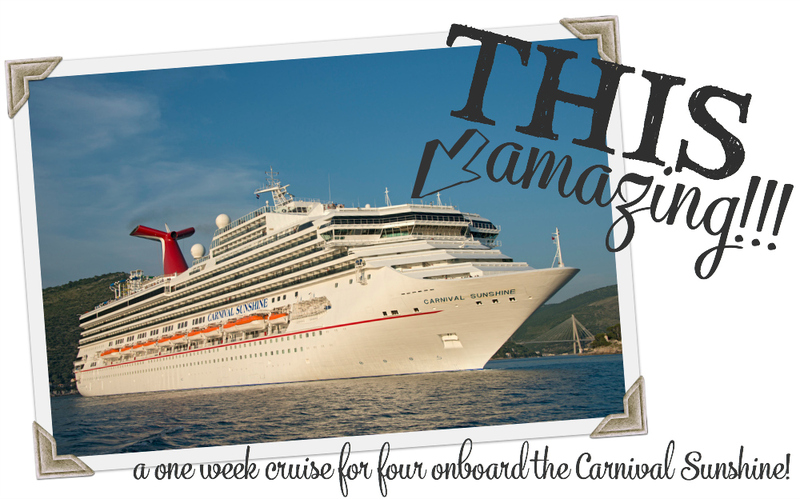 Our Grand Prize winner will receive an ALL EXPENSES PAID weeklong cruise for FOUR on the Carnival Sunshine!!! 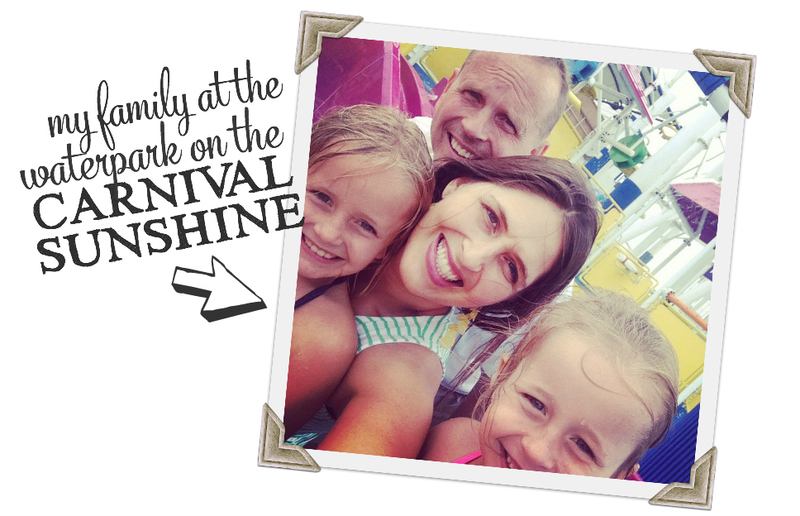 Cruising on Carnival is one of my family’s favorite ways to live well AND spend less, and the Carnival Sunshine, which recently underwent a groundbreaking $175 million dollar renovation, is one of our very favorite ships! It features an awesome waterpark with FOUR different waterslides, plus a ropes course, multiple pools, great restaurants, awesome entertainment, and a whole lot more. The prize package includes accommodations for four, all meals and entertainment on board the ship, as well as roundtrip airfare for four within the continental United States to and from the Sunshine’s home port of Port Canaveral, Florida. It is truly a trip of a lifetime! To find out more about the contest and how to enter, plus get writing prompts and quotes to inspire you, simply visit our Secret 13 page HERE. In the meantime, thank you again so much for all your support and encouragement! P.S. If you want to know more about how you can help spread the word about the book, please check out the book website at www.LivingWellSpendingLess.com/book. This is so cool!!! I was so excited when my book arrived yesterday and I seriously cannot stop reading! I feel like you are talking right to me. I have so much to write about I don’t know how I will even narrow it down. This is exciting! I love reading your inspiring words and this is a great way for more people to inspire all of us! How exciting! Can’t wait. I finished the book yesterday and I have so many essays spinning around in my head begging to be put down on paper. I’m going to have to write them all just to get them out of me–thanks for the inspiration! O wow! This is fabulous. Best wishes to all entrants! Someone is going to be veeeeeeeeery happy!